Although, just because you choose to attend the world’s greatest golf tournament, it doesn’t mean you can’t play some golf of your own. 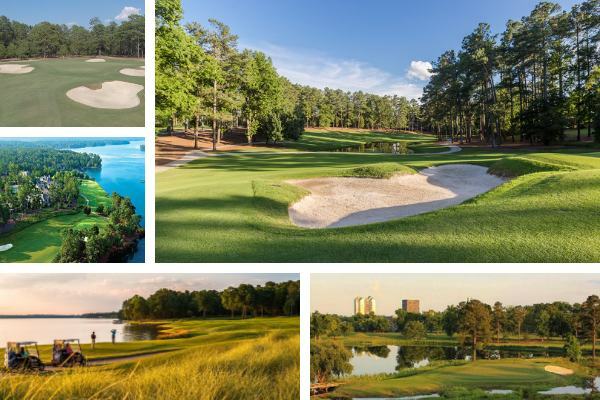 Whether you stay local and discover more great courses within Augusta or opt for a road trip across states, there are so many options to get your fix on Masters week. Here’s our breakdown of courses you can play near Augusta National. The hometown of the golf legend Bobby Jones and with Augusta National’s influence prevalent from each corner, Augusta GA is a truly special place. 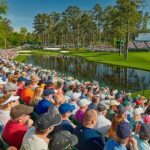 Each April thousands of fans arrive to witness the special tournament, but the thing with The Masters is that it makes you want to play golf, so why wait till you get home? Just 15 minutes from Augusta National, West Lake Country Club is a great option for those wanting to play a quintessentially American golf course. With exceptional playing conditions, a huge amount of water and some of the fastest greens you’re likely to putt on, it’s no surprise that West Lake has hosted several regional championships. Nearly at 7,000 yards from the back tees, its length won’t be the issue, but in fact, the sheer quality of the Ellis Maples design will be the underlying obstacle to overcome, ensuring your golf is strategic in order to score well. 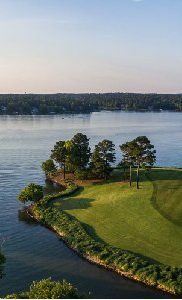 The name is quite self-explanatory, but The River Golf Club will test your mettle around a plethora of water hazards just a few minutes from The Masters host. Displaying perfectly the midas touch of renowned course designer Jim Fazio, the course rewards bravery but is equally punishing if you spray it off the tee. The mature track offers a welcome contrast to the other courses in the area, making it perfect for anyone wanting to bolt on some golf to their bucket list trip. 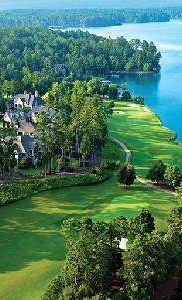 Reynolds Lake Oconee is a one of a kind destination, boasting an unbelievable five-star resort which itself features five world-class golf courses. At 70 minutes from Augusta National, the location is perfect for balancing tournament spectating and some holes of your own, but experiencing all five courses might be tight during your trip. Despite having such great variety, the resort doesn’t compromise on quality with each and every course offering a genuine championship challenge in unique settings. 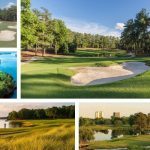 As the capital of South Carolina, there is naturally a huge golfing spotlight on Columbia and with a transfer time of just over an hour, it makes for one of the best golfing destinations in and around Augusta. The city is buzzing with sporting life, thanks mostly to a strong college football presence and embraces the flocks of golfers each year with open arms. Columbia Country Club is a simply spectacular course which acts as a brilliant gateway between the layouts of Augusta and the Carolinas. 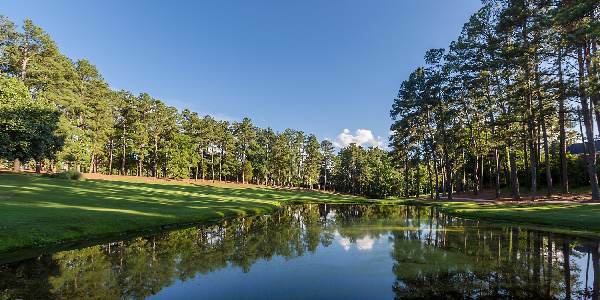 Expect wide fairways littered with large fairway bunkers, a heavy presence of water and any stray shots landing in the pine straw. Naturally, everything from tee to green is in impeccable condition which only adds to the difficulty of this course, but a variety of tee boxes make it playable for all standards of golfer. Aside from its capital Columbia, South Carolina has so much more to offer, especially down by America’s stunning southeastern coast. The premier golfing state boasts destinations like Charleston, from which is a new direct route from London, Myrtle Beach and Hilton Head Island. 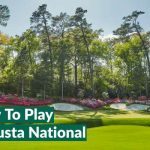 These all offer unforgettable golfing experiences just three hours from Augusta, making it a popular add-on to any trip to The Masters. Not many people would argue that the Ocean Course at Kiawah Island is the pinnacle of golf in South Carolina. With huge championship pedigree behind it, the famed course which is steeped in history is potentially the closest test you’ll get on a golf course, behind Augusta National, of course. However, if you’re looking for the best possible option for playing golf on a Masters trip, then this is where you’d go. 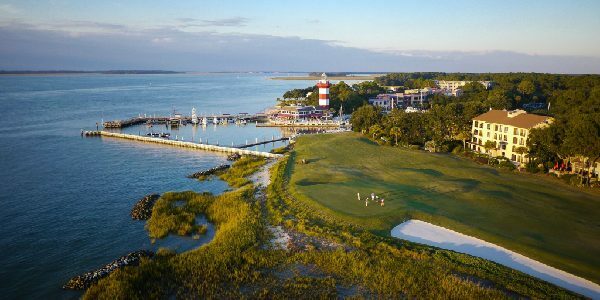 Harbour Town Links plays host to the RBC Heritage the week following The Masters, but for anyone heading to the US early for the tournament, you’ll be able to experience this iconic golf course at its best. With the touch of both Pete Dye and Jack Nicklaus, the course is equally challenging as beautiful, however, it’s the lighthouse which overlooks the 18th green which really puts it on postcards. Getting in a round here before heading to Augusta is only going to heighten the excitement for seeing the world’s most unique golf course; a truly remarkable destination. Myrtle Beach is vibrant, busy and bold, just like the man who revolutionised the King’s North course in 1996, showing every inch of his personality in the design. And in typical Arnold Palmer fashion, you must play with style and strategy to get the most out of your round, especially with bunkers and water in play throughout. For a fun, exciting and enjoyable part of your Masters trip, a round at King’s North is sure to hit the spot. 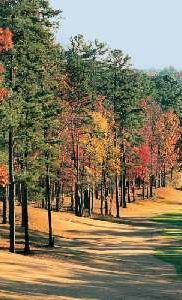 Slightly further out at a four and a half hour drive, but of course more than achievable with a rental car, Alabama has everything you could wish for in a golf holiday to America. Not only is it hugely popular with golfers due to the renowned Robert Trent Jones Golf Trail, boasting over 11 golf courses, but also has so much to offer away from the fairways. This is a fantastic bolt on to any Masters golf holiday and gives you the chance to play some seriously challenging golf courses. 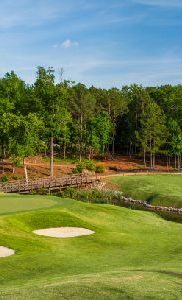 Ross Bridge is the latest course to be added to the RTJ Golf Trail and is already one of the most sought after courses in Alabama, thanks to its monster layout. Anyone brave enough to take on the course from the back tees will be faced with nearly 8,200 yards of golf course in front of them, but don’t fear, us mere humans can tee it up much further forward to make it playable. Another on the trail is Oxmoor Valley; not quite as long as Ross Bridge at 7,000 yards but equally as impressive, with brilliant level changes and stadium style water hazards throughout. 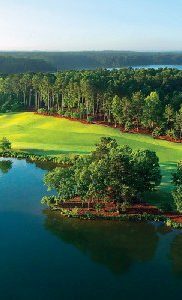 Expect some of the most spectacular par-5’s in Alabama, with accuracy off the tee pivotal with devastating punishment for wayward shots. However, as with any course with a Robert Trent Jones influence, you’ll enjoy the challenge regardless of golfing ability and enjoy the innovative design, testing new parts of your game each time.